I wrote before: Picasa and PicasaWeb is a mess if you want to use PicasaWeb as a real cloud-service. The sync don't work or not as expected, and even downloading web albums to the computer fails. Some photos get downloaded every time, leaving multiple copies of the same photo on the harddisk, while other won't download at all. It's a big mess. Picasa Web needs a proper backup solution. Everything is okay if you want to backup your photos TO Picasa Web, but it's not working properly the other way around. But this is what I need. Hey, isn't that the idea of the cloud, to have everything on there? Upload from different devices to the web. Managing on the web. But then, I want to make a backup. And that's on my drive. This is a must. So, now the only thing I can do, is importing the photos from the camera/smartphone into my computer and then upload it from there and back it up. That's like 2004. This is not what I understand of a cloud-service then. 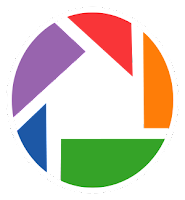 The Picasa-Software doesn't work correctly. No matter if I'm trying for Win or GNU/Linux (with wine). Backing up your local photos to the web is easy. Backing up your cloud photos to your computer is impossible. All software I found, that do so, is only for public albums. All workarounds seem to download the 1600x1200 resolution only. It's a shame. Google, please, do something.